SCR power controllers have now replaced the obsolete mechanical controllers of yesteryear. SCR have no mechanical components, are noise free, come in smaller packages, cost less to purchase and less to operate as well as providing a virtually unlimited lifetime and an infinite resolution. Quantum SCR CONSTANT CURRENT SCR manage the current load preventing blown SCR featuring performance and precision never seen before as well as at a lower cost than anything prior. Quantum SCR Current Control SCR eliminate blown fuses and semiconductor failures by using special built in circuits that allow you to dial in a kick off point before the fuse has a chance to blow. This can save you hundreds of dollars very quickly. It is not unusual to spend $40 or more for a single fuse when you suddenly blow one, and what happens when you don’t have a replacement. That no longer needs to be the case. If anything should occur it simply kicks off, you press the reset button and move on. Many of the elements and devices used today in heating are called variable resistance. Loads such as Tungsten, (T-3) lamps and heaters, Quartz IR tubes, infrared panels, Molybdenum heaters, Silicon-Carbide Heaters and GLO-Bar heaters are considered variable resistance loads. Fast and precise response is needed when the elements are cold due to a hi-inrush current upon start up. The hot to cold resistance ratio can change dramatically with Tungsten being 14:1, Molybdenum 20:1 and Graphite: 20:1. We originally designed our SCR to be used in labs with plasma energy sources that wreaked havoc on conventional SCR. Thin film coating can really challenge a typical SCR, but we are glad to say that we have SCR being used for years now with no blown fuses when they used to be a weekly occurrence. The amount of money saved by our customers has paid for their SCR many times over. Why do we use Semiconductor Fuses? 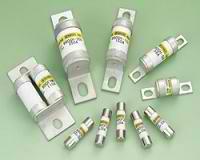 Semiconductor fuses are specially designed power limiting fuses with a uniquely shaped silver element. This design allows the fuse to protect semiconductor devices from arcing, excess power and high inrush currents. 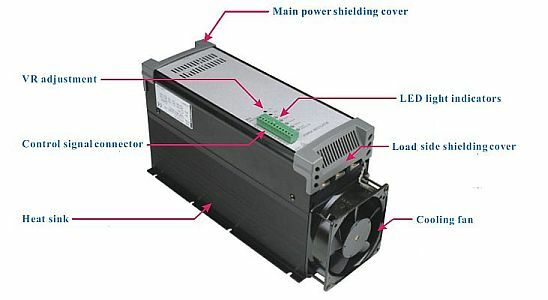 This special power limiting characteristic of semiconductor fuses is also useful for reducing the amount of damage done by an arcing fault; hence,the fault current is effectively reduced. Quantum SCR has the right SCR for your application. or just select your specs on the right and go. 30 up to 750 amp ratings. Monitor actual heater and controller performance. Electrically touch-safe package means increased safety for installers and operators. Tips on selecting the right SCR controller, or Zero Crossing or Phase Angle? Quantum SCR Thyristor Power Controllers | Powered by Mantra & WordPress.